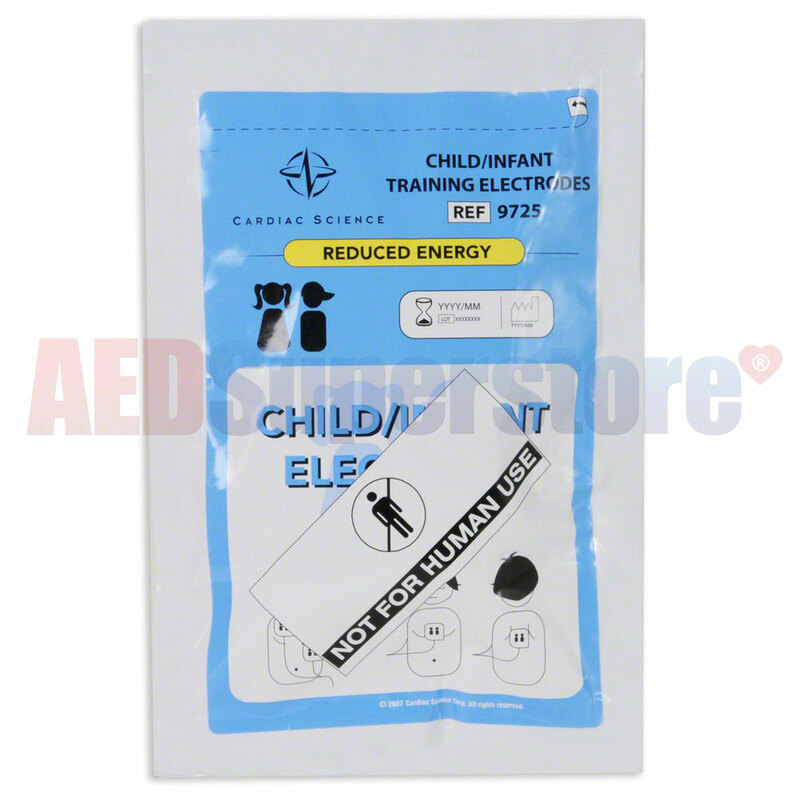 Pediatric Training Electrode Pads by Cardiac Science. For use with Cardiac Science AED stand-alone training units, and they're reusable. A "must have" if you equip your working Cardiac Science AED with pediatric electrodes.